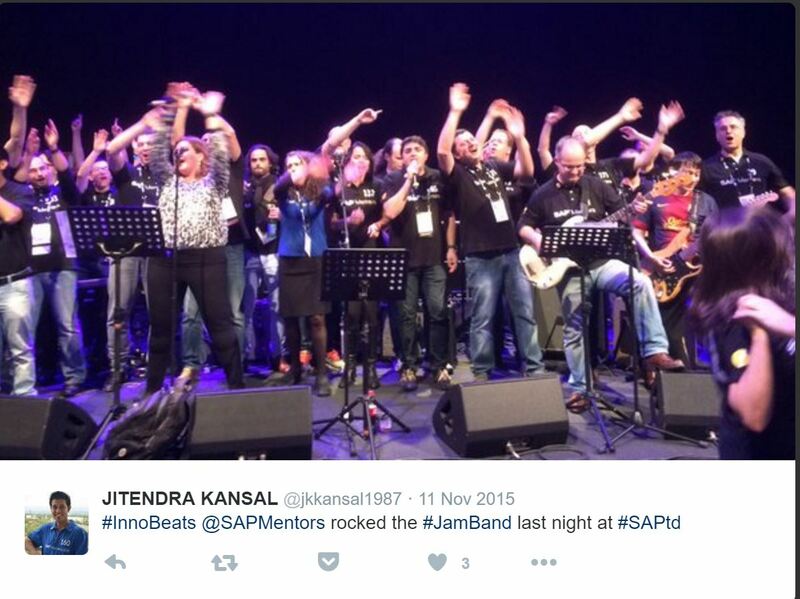 In less than 4 weeks, SAP TechEd will be well underway in Barcelona and as has become a tradition for over 5 years (if we count Las Vegas), the Jam Band is on again thanks to SAP HCP (Bjoern Goerke) and the support of the SAP Mentors. Jam Band – Appearing at the Networking Reception on the Tuesday night starting at 7pm (just before the DemoJam)! But for those who want to take a more active role in the Jam Band; now is the time to put your hand up for a song or two. Lead Singers – Since it is a community jam band, we really love to share the microphones around between songs. A confident lead singer really makes for a great jam so please volunteer. Backup Singers – It’s not unusual for 2 to 3 people to take a microphone and sing along with the lead singer. We do like people to join us on the night even without volunteering, but if you’d like to get in a rehearsal, then please volunteer early. Lead, Rhythm and Bass Guitarists – Maybe you only know a song or two, but volunteer for a few songs and we’ll try get you up for at least a song or two. Keyboard – Maybe you only know a song or two, but volunteer for a few songs and we’ll try get you up for at least a song or two. The one precondition to volunteer is that you are available for rehearsal in Barcelona on the Monday night from 9pm through to midnight. I’ll be in touch within the next week to finalise song assignment (message me in the comments if you don’t hear from me by the 19th of October). The basic instruments are all provided (guitars, bass, keyboard, drums, microphones); but if you want to play along with a trumpet, saxophone, tambourine, etc; then you’ll need to bring those along. If you’d like to use your own guitar, then bring it along; though we do have limited amplifiers. What if I can’t make the practice? If you can’t make the practice session, then there’s no guarantees you can play one of the instruments, but if there’s space next to a microphone during the Jam, you should still be able to come up and sing along at the very least (come see me before 7pm and I’ll see what I can do for instruments). What’s the setlist, and when will I know what to learn? By registering, you will also get the chance to select what songs you’d like to play (if possible). Final draft setlist and assigned musicians will be sent out in the next week. Love the rename, of course! and this definitely is a band of rockstars!